Kadence Related Content is a powerful tool that can help you drive sales in new and innovative ways. Kadence Related Content is available with all Kadence Membership subscriptions, and as with all Kadence products, includes premium support. The Kadence Related Content plugin allows you to promote other pages and posts from across your site on any given page, product, or post you want. You can either setup a default carousel to display on all pages and products or configure on a per-page basis. First, install the Kadence Related Content plugin and go into the “Related Content” menu in the bottom left corner of your screen. Once opened, you should see all of the options for configuring your site’s default Related Content configuration. Here is where you will set the some of the default features of your related content carousel. You can set the default title and choose how many columns display in your carousel. You can also set how the scroll of your carousel will function. 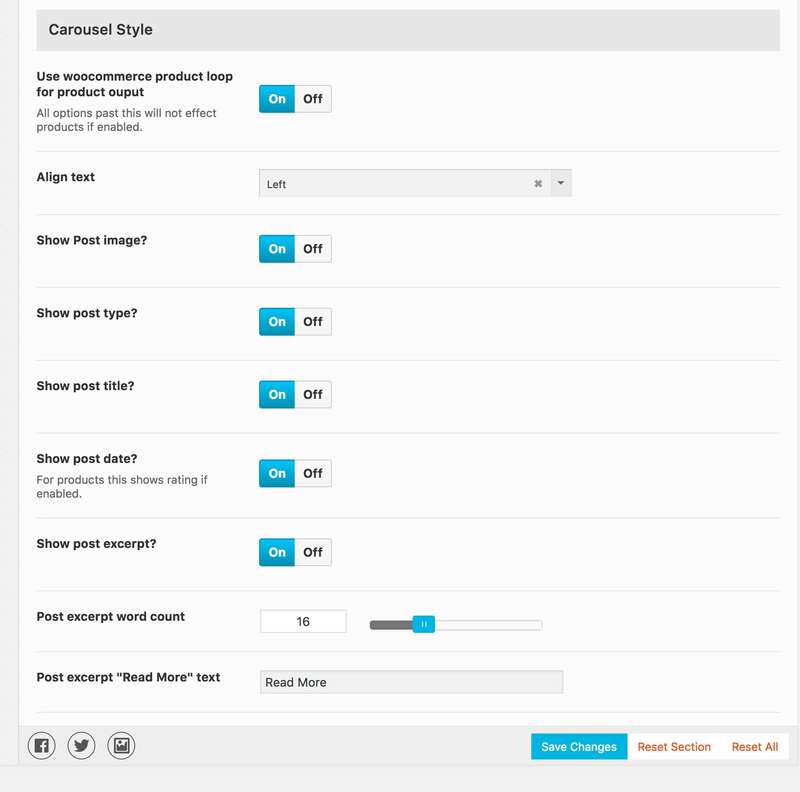 Here you’ll find the options for your default related content styling. Kadence Related Content gives you the ability to use the WooCommerce product loop for product output if you wish to do so. You also get the option to set images, post type, title, and post excerpt either on or off in your carousel. You also have the ability to change how some of your carousel’s features will display on a per page, post, or product basis. Within the edit screen for your page or post, you can give the carousel a custom title, set the amount of columns it will have, as well as handpick the content that will appear in the carousel. The above example uses products in the carousel. With Kadence Related Content, you can add links to any product with a flexible carousel that can be customized for each item. Kadence Related Content can be used as a powerful selling tool that gives you the ability to link to relevant products to posts and pages. This will help to bring customers to your product in new ways, allowing them to first read about your features in a post. If you’ve configured images in your carousel as a default setting, you’ll want to be sure to set a featured image for any pages or products that will be assigned to the carousel.